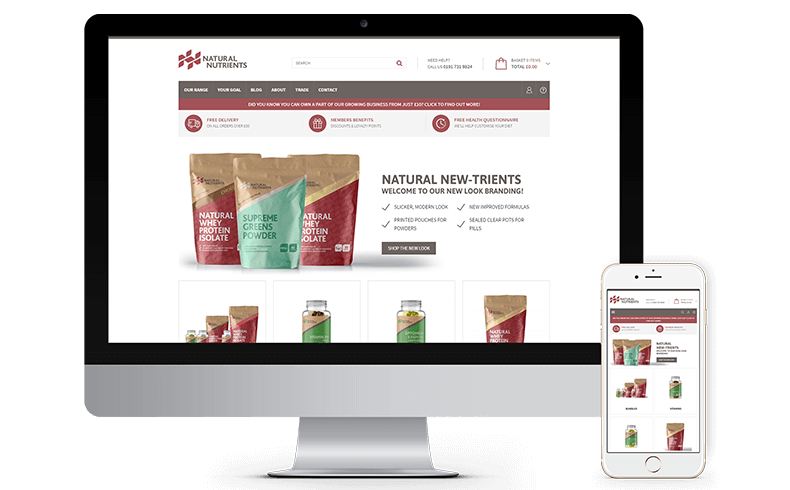 Natural Nutrients approached us when they were looking to get their existing eCommerce website redeveloped. They felt that their site looked dated and didn’t help in showcasing their extensive range of products. There was also a very tight deadline for this project as the company was going to be featured on Dragons Den so the website needed to be designed, developed and launched before the air-date. We worked along Natural Nutrients to design a site that would lead the visitor through the site, not only in a way that showcased their product range but also helped guide visitors who weren’t quite sure which of the products would suit their needs. Once the design was approved we began developing the site, their existing site was in WooCommerce, however, they felt that it didn’t have the flexibility they needed. To not disrupt their existing customers we imported all of them into OpenCart, which had a lot of the features that they wished to take advantage of and meant they could easily manage their products and orders in a way that worked better for them.